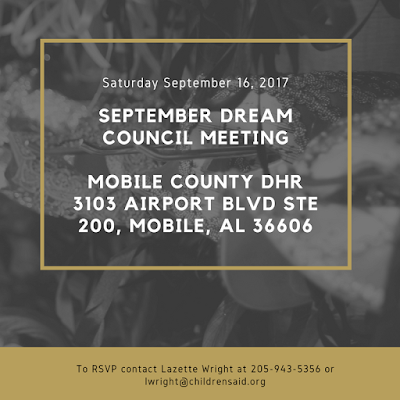 Our September Dream Council meeting in Mobile, AL is quickly approaching and we are SO excited! Southern counties we are looking for you to be there! Escambia, Baldwin, Washington, Covington, Geneva, Coffee, Pike, Crenshaw, Butler, Houston, Henry, Barbour, Bullock County and more, we are talking to YOU! United Methodist Children’s Home, St. Mary’s, Chrysalis, Pathways, we are talking to YOU!!!! 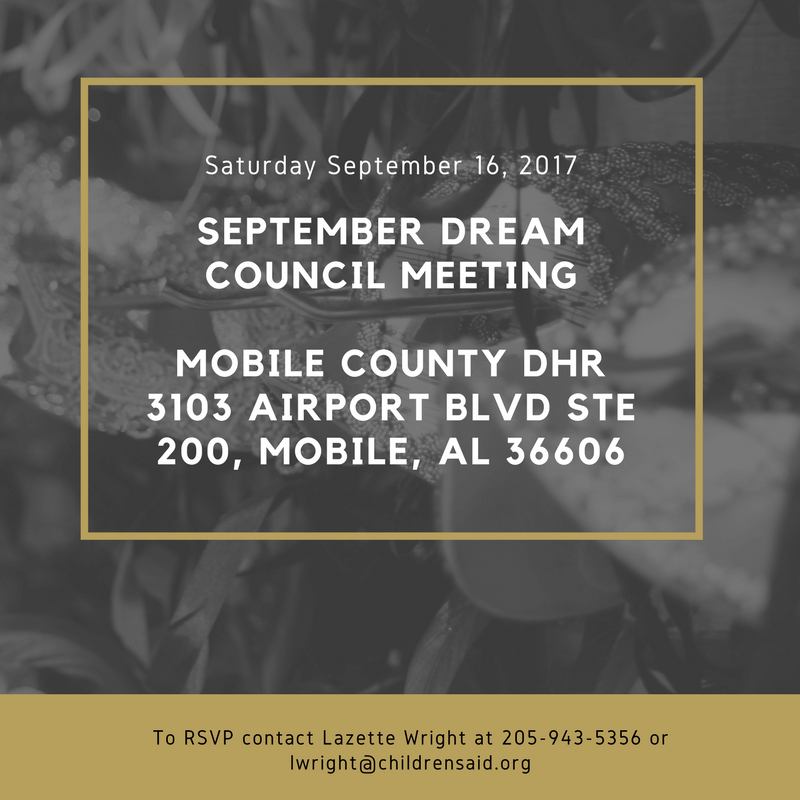 Bring your IL youth to this Dream Council meeting for a great time, good food and great information!